1GEDCOM File : MyGenealogy.ged, Marriage Volume 5, page 17 Archdioses of New Orleans, 20 Aug 2003. Image. 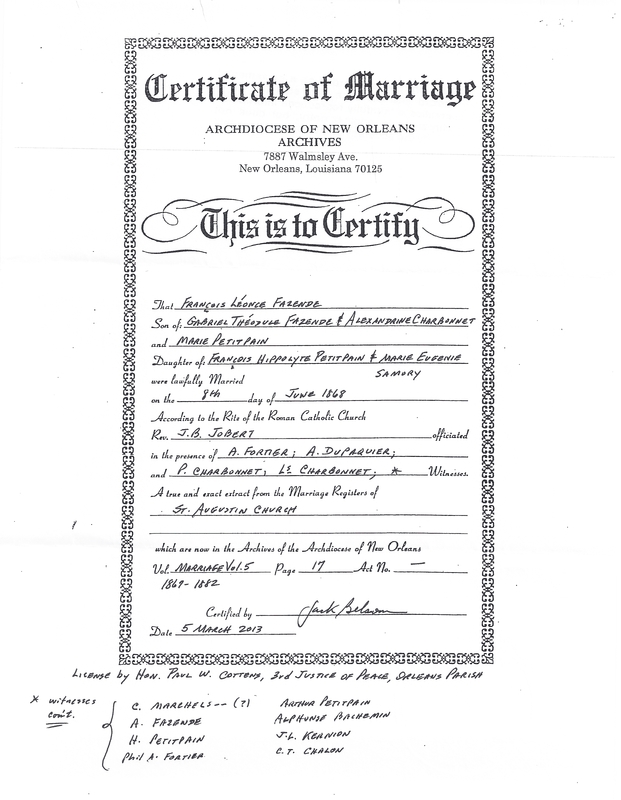 2GEDCOM File : MyGenealogy.ged, Marriage Volume 5, page 17 Archdioses of New Orleans, 20 Aug 2003. Image.